His comment brought to the fore a question that had been on my mind since Google introduced Google Classroom in 2014: Why is Google giving it, and all of the “G Suite” applications (Classroom, Gmail, Drive, Google Calendar, Vault, Google Docs, Sheets, Forms, Slides, Sites, Hangouts) to any educational institution for free? Google has, of course, long given away individual consumer Gmail accounts, but it charges for its enterprise “G Suite” accounts. This is an important question: over 50 million students and teachers now use these free accounts. What’s in it for Google? In explaining why it offers the service to K-12 institutions for free, Google says on its website, “As you may know, Google was founded by a research project at Stanford University, and this is just one way we can give back to the educational community.” But Google isn’t a not-for-profit or a Benefit Corporation. Google is a public corporation and as such it has a duty to maximize shareholder value. If Google were to charge its business rate for those 50 million accounts ($120 per user per year for unlimited storage), revenue to Google would be $6 billion. That’s material, even for Google. So again, what’s in it for Google? So it appears that Google does not earn any additional revenue from advertising directly to educational users on the G Suite applications or in Google search. Google excels as an advertiser because it holds an immense store of information about individuals – including the things they search for (Google search), the content of their emails (Gmail), their location (Google Maps), the apps they purchase (in Google Play), the videos they watch (You Tube), and the websites they visit (Chrome). That profile information is extremely valuable. By scanning Google apps, Google would know, for example, that Johnny is a fifteen-year-old tennis player in Houston who plays the flute and has trouble in math. That allows Google to target ads extremely effectively. Notice the caveat in Google’s statement above: “when they are signed in to their G Suite for Education accounts.” Google could still be collecting data and advertising to students based on that data when they’re NOT signed into their G Suite accounts. I don’t know if Google does this. But Google could put a cookie on the student’s browser, which would identify the student to Google whenever the browser is used. So let’s say Google cookies the student’s browser, and the student logs out of his Google education account. Google still knows who he is, and they know all the things they collected about him. They could target ads based on that information until the student logs back into his G Suite account. So the question is: even if Google isn’t advertising directly to students in Gmail or other G Suite applications, is it collecting profile information by scanning their emails or the contents of their Google drives? Google now claims on its support site that it has since stopped this practice and that “G Suite for Education services don’t collect or use student data for advertising purposes or to create profiles,” (Google Help). Google elaborated further in a 2016 letter to Senator Al Franken, who had pressed Google on the specifics of its student privacy practices, sharing what information Google collects when a student is logged into G Suite but using other services and what information Google collects when a student is using a Chromebook. Google admits that it does still scan emails in Gmail accounts within G Suite for Education, but that it does so, “to keep our customers secure and to improve their product experience,” and not for advertising purposes. So it seems that Google has discontinued its most egregious practices with respect to student profiling for advertising purposes. Of course, it is hard to know what Google actually does with the information they glean from scanning students' G Suite accounts, but if they were still using the information to pinpoint advertisements, someone would notice – Johnny would ask why every website he visited was advertising tennis racquets, flutes, and math tutoring classes. So building profiles to improve advertising results for these students doesn’t seem to explain why Google continues to provide G Suite for Education for free. Google's Chromebook sales to K-12 schools have taken off over the past few years. 6.2 million Chromebooks were sold in the U.S. in 2016, and 60% of those were sold to educational institutions (Gartner 2016). In 2015, Chromebooks surpassed 50% of all devices sold to K-12 schools (USA today), up from 40% the year before. At the same time, Apple's share of the school market declined from 32% to 24%. Although Chromebooks work without G Suite for Education accounts, and schools can implement G Suite for Education on other hardware platforms, having everything on one platform simplifies management. Going “full Google” (Chromebooks plus G Suite for Education) is now a thing for some school technology leaders. So offering free G Suite for Education accounts may be a powerful tool for promoting Chromebook sales in K-12 schools. However, even though Chromebook sales have soared, this can’t be a major source of revenue for Google. Schools don’t tend to purchase the expensive “Pixel” Chromebook ($999 to $1,299) directly from Google. They buy less expensive Chromebooks manufactured by Dell, Acer, Asus, and others. Google may earn a licensing fee for each of these, but with total cost of the device at only around $200, the licensing fee – even for 6.2 million Chromebooks – is not likely to be a significant source of revenue for Google. If, for example, the Chrome OS license fee were $10 per Chromebook (just a guess), Google’s revenue from the sales of all those 6.2M Chromebooks would be $62M – less than one tenth of one percent of Google’s 2016 revenue. The real value to Google of giving those accounts away for free, I believe, is simple: Google wants all those students to sign up, eventually, for consumer Google accounts. If students become comfortable with Google products through G Suite in school—if they get used to working with GMail and Google Drive and Google Sheets and Slides--when they graduate from school (or during school) they will sign up for consumer Google accounts. 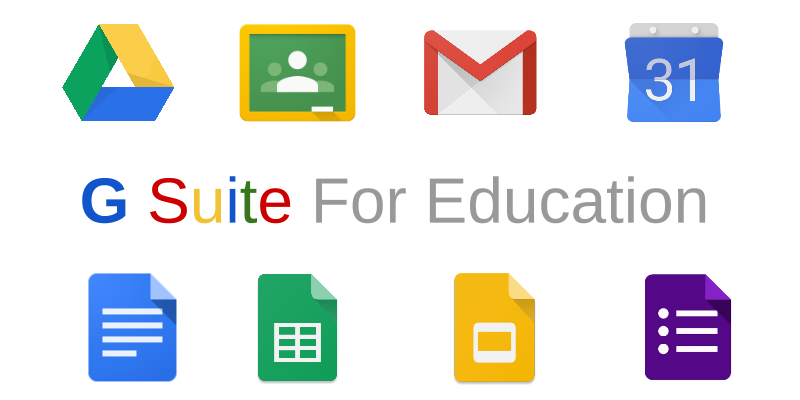 When a school district signs up for G Suite for Education, every single student in that district has to use Google’s tools to get their email, access their documents, and see assignments in Google Classroom. And because G Suite for Education accounts are provided by the district, Google is able to sign up children under the age of 13 (COPPA prevents Google from allowing children under 13 to sign up for a consumer Gmail account). Many schools are enrolling students in G Suite as early as first grade. Google did, reportedly, experiment with allowing parents to sign their children up for a monitored consumer Gmail account to get around COPPA, but hasn’t implemented this feature to date --- why bother, when school districts will sign up thousands of kids at a time, and require them to use the accounts daily? This is really the crux of the issue. The school is requiring the student to use this system. That would be the case with any email system or LMS or other district-wide software. But with this particular system, the goal of the product is not necessarily to further the student’s education, but to convert the student to a lifelong consumer customer. This is a major difference between education-focused technology companies and Google. Google is still an advertising company. Their primary focus isn’t education. Forbes calculated in 2013 that each Google user is worth $217 to Google in market capitalization. Updating for 2016, each Google user is now worth roughly $550 in market capitalization. By that analysis, those 50 million G Suite for Education users will be worth $27 billion to Google in market capitalization when they convert to consumer accounts. Looked at in this light, Google ought to be paying schools to enroll students in G Suite@ With G Suite for Education, Google has, for a small investment, captured an immensely valuable pipeline of loyal users--kids who have been using Google's products since the moment they could first spell. That’s the real financial value to Google of the Apps for Education program. So what’s a district technology director to think? Is my Technology Director friend right to shield his students from Google’s embrace? He is certainly right that we don’t really know what Google is doing with the vast amount of student information they collect. We can guess based on Google’s public statements and on the behavior of the applications—but we don’t really know. Making the decision for oneself is one thing (“whatever…I don’t know what Google is doing with my information, but I want a Gmail account, so I’ll sign up”), but making it on behalf of students in order to save district funds is another. Further, even if we assume that Google is now squeaky clean in its treatment of student data, we need to ask a bigger question: is it right to deliver students into the hands of this unprecedented monopoly, helping to further tip the scales in its favor, to save a few dollars per student?